The ICC World Cup trophy that Indian captain Mahendra Singh Dhoni and his team mates proudly lifted was a fake one, India Today magazine reported on its website. This has never happened in the 36-year history of the cricket World Cup, the website reported. According to the website, the real trophy valued at $130,000 was seized by the Mumbai Customs and locked in a government warehouse on its arrival from Sri Lanka after the semifinals on March 29. Several factors are responsible for the trophy being held up in the airport, the website reported. Under the Indian customs rule, the World Cup trophy was not eligible for exemption from import duty. A combination of mismanagement from the International Cricket Council (ICC) and intricate Indian government rules made sure that the trophy stayed locked at the airport, the website reported. "The ICC has been insisting that the trophy which came on the flight from Colombo (after the Sri Lanka-New Zealand semi-finals on March 29) is a replica of the original World Cup trophy that is already at the Wankhede Stadium," the website quoted a customs official as saying. 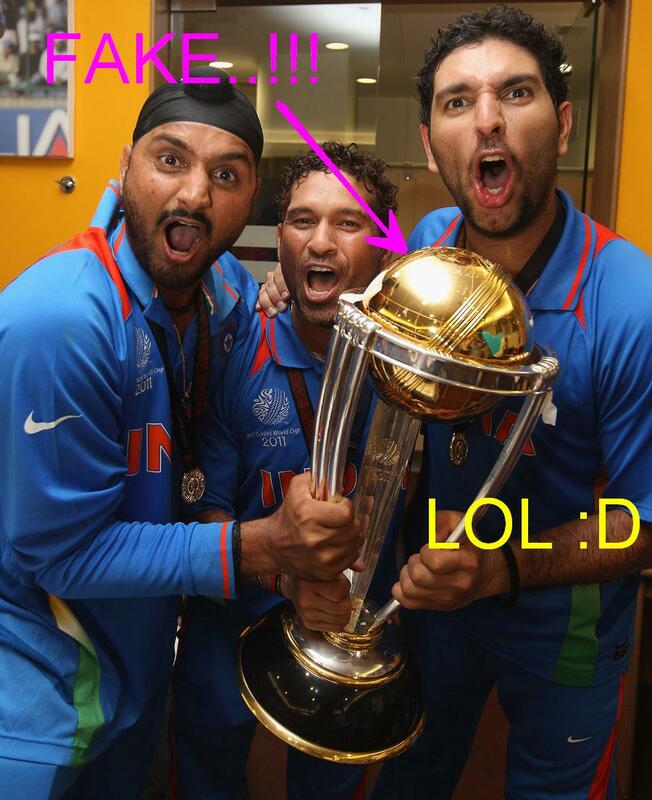 "ICC officials told us that that this trophy has no commercial value as it is used for promotions only. However, when examined by a valuer, the trophy was estimated to be worth Rs 60 lakh ($135,104) or so, made of pure silver and gold. The payable customs duty is about Rs15 lakh ($33,776). If it is a replica, then does it have to be exactly of the same value as the supposed trophy? Moreover, the ICC letter that the official was carrying said that it was the World Cup trophy. Nowhere did the letter say that it was a replica and it should be let out," the customs official saId. The ICC, meanwhile, is desperately trying to cover up its fiasco, the website reported. A top ICC official has said that the real trophy is never presented to the winning team and only the replica is presented to the winner, the website reported. But photographs of Australia captains Steve Waugh (1999) and Ricky Ponting (2003, 2007) receiving the original trophy, which was instituted in 1999, prove otherwise. The base of the original trophy has names of all the winners since 1975 engraved on it while the one presented to Dhoni had a blank black base, proving that the trophy was a fake one, the website reported.